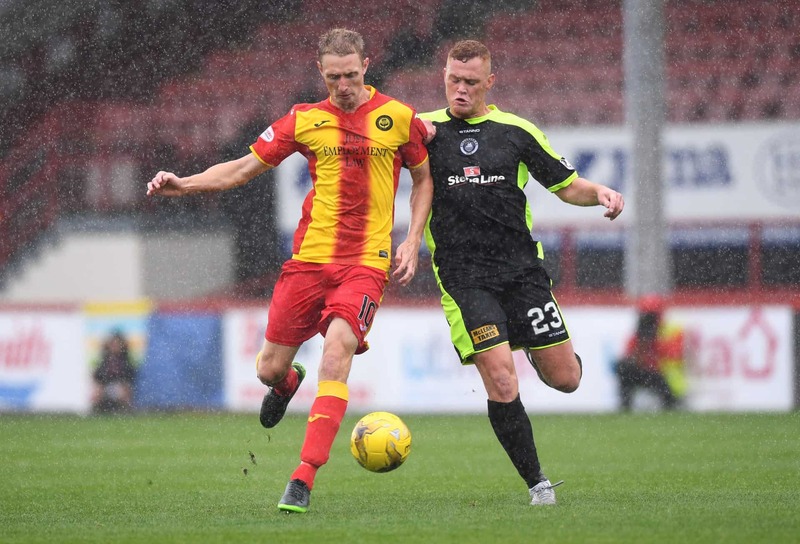 One of the Ladbrokes Premiership’s hardest-working and most respected performers, Chris Erskine isn’t getting carried away after three successive League Cup wins, believing there’s room for improvement at Partick Thistle. But the classy midfielder does think the Jags have everything in place for another stellar campaign. Ladbrokes News: Thistle secured a first top-six finish since 1981 last term. What do you think made you guys so successful during the campaign? Chris Erskine: I think we played some good football throughout the season. In the early months of the campaign, we weren’t really getting the results that our play merited, and we were in the bottom two spots leading up to Christmas. Then we went on a great run. We were still playing – in my view – a pretty similar quality of football, but we were more clinical in front of goal and started to pick up some crucial wins. One big thing that helped was the manager [Alan Archibald] changing the shape of the team around that time. We moved from four in defence to a back three, and it just seemed to suit the way we played. That also saw Adam Barton move up into defensive midfield, which he adapted to brilliantly. I feel that over the course of the season, our play really warranted getting that top-six spot – and I’m delighted that we achieved that. LN: How do you rate your chances of another top-half finish? It’s probably a tougher league this year with Hibernian coming back up. CE: It’s probably the toughest league that Thistle have been involved in since we came up to the top-flight [in 2013]. So everyone knows it’s a really big challenge to finish in the top six again, but it has to be our aim after last year. As you say, having Hibs back will make it harder. But we proved last season that we can beat the sides around us pretty consistently. I think first and foremost we have to make sure we’re secure and to not get complacent about that – and once we’ve achieved that, then everyone can start looking upwards. LN: The Jags are in fine fettle at present, with victories in each of your last three League Cup games – against Airdrieonians, St Mirren and Stranraer. You’ve found the net in two of those. What’s your verdict on Thistle’s performances so far? CE: We looked very good against St Mirren, but I was a wee bit disappointed with our performances in those other games. Obviously beating a decent [Buddies] side 5-0 was a real achievement, and I think that needs to be the benchmark, certainly in terms of how we handle opposition in lower leagues. We edged past Stranraer and Airdrie in the last two games, but our performance against Livingston was a disappointment. In terms of building momentum ahead of the league campaign, I think it’s important to win – and really impress – in these League Cup group games. LN: The club have made a few canny buys, including your former Dundee United teammate Blair Spittal. You’ve played with – and against – Blair a number of times. What can Thistle fans expect to see from him? CE: I think they’ll see more of what he’s shown in the League Cup games so far. Blair has really hit the ground running, and that hasn’t surprised me one bit – as soon as Thistle were linked with him, I thought Blair would fit well into the style of football that we play. There’s no doubt he’ll add quite a few goals this season, and he’s already added three in the League Cup alone! That included a cracking free-kick against St Mirren, so he’s got that set-piece magic in his locker. He’s very dynamic in his attacking play, so I’m sure fans will be pleased with what they get from Blair! LN: We’re less than a week from the start of the Premiership campaign, which spells a bumper set of home games – against Celtic, Rangers and Aberdeen. You took a point at Parkhead last term, but were edged out at home against that trio. Are you confident of turning that around this season? CE: I think the main issue here is that we need to do better against the bigger teams. We had a good record against the sides around us last year, but we struggled against the top four and dropped points in games when we were leading. We’ll be striving especially hard to change that this season, because it’s the key area where we can and should improve. We need to make Firhill somewhere that opponents don’t enjoy coming to. Hopefully, we’ll get a big and vocal support for those games. That’s obviously something you always want as a player, but it’s especially important when you face a really tough test. 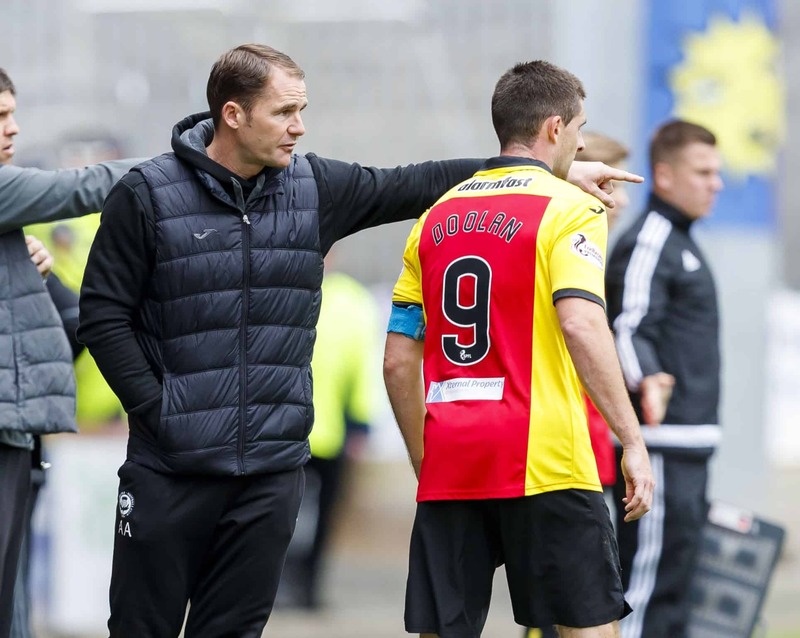 LN: Last but not least – a word on your manager Alan Archibald. He’s heading into his fifth full season in the Firhill dugout. Why has he been such a good fit for the club? CE: He was a legend at the club already, before he took the manager’s job – so he understands Thistle extremely well. He was a great servant for the club and has just gone from being a leader on the pitch to a leader in the dugout. Alan is obviously a young manager, but he’s taken everything in his stride since day one, and every season he’s helped progress the club’s position in the table, and strengthened the squad. Hopefully, that signals another great year ahead! ‘Legend’: Thistle boss Alan Archibald has taken the club from strength to strength. 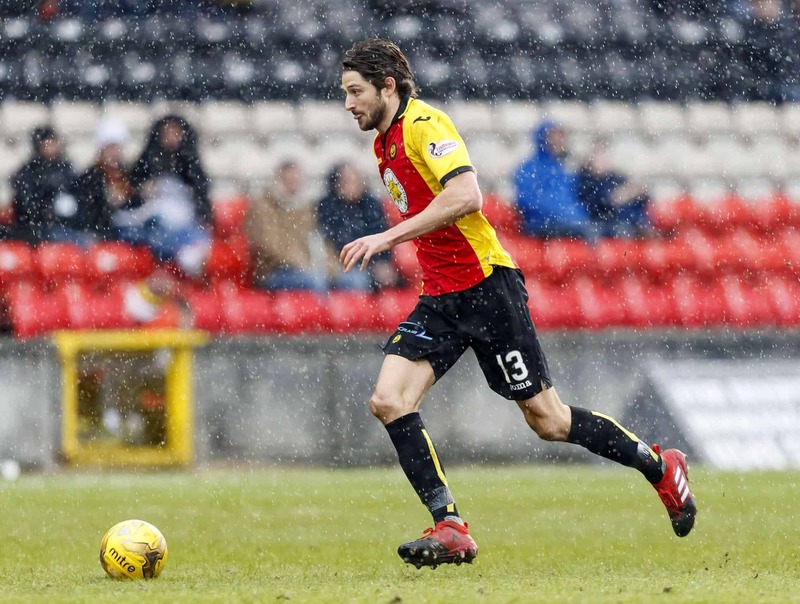 Partick Thistle begin their Premiership campaign by travelling to Easter Road on Saturday. It’s 16/5 for the visitors to taste victory over Hibs, while 10/3 says Chris gets on the scoresheet anytime!